We’ve been fighting for injured people for over thirty years and have won over $1 Billion for our clients. You don’t pay us anything unless we win. FREE CASE EVALUATION WHY CHOOSE US? With over $1 Billion and counting, the injury attorneys at Keches Law Group have a strong track record of getting favorable verdicts & settlements for their clients. To an ironworker who was struck from behind by a hydraulic machine resulting in chronic neck and arm pain and significant limitations from his injuries. For a brain injured newborn whose labor and delivery was mismanaged by the failure to expeditiously perform a cesarean section in the presence of persistent abnormal fetal heart tracing. A Suffolk County jury has awarded to an iron worker who suffered a disabling shoulder injury. A case involving a 21-year-old laborer for a severe crushing injury resulting in the amputation of both legs. A settlement for injuries that required the removal of part of workers’ leg. 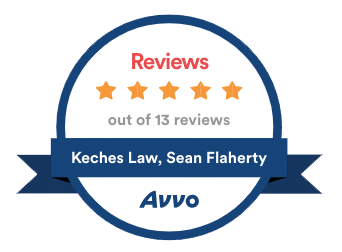 Keches Law Group is made up of 35 experienced attorneys and over 75 highly-trained staff members who truly care about your well-being and financial future. We will work tirelessly to get you the results you deserve. With 6 offices across New England, we’re always close by when you need us. Can’t get to one of our offices? No problem, we’ll come to you whenever and wherever it’s convenient. Keches Law Group has over 30 years of experience in a variety of practice areas and legal services. We pay special attention to your needs, pride ourselves on delivering consistent, outstanding results, and adhere to strict ethical and legal guidelines. Browse our practice areas to learn more about how we can help you.